The impact has been largely neutral, as far as crime goes. 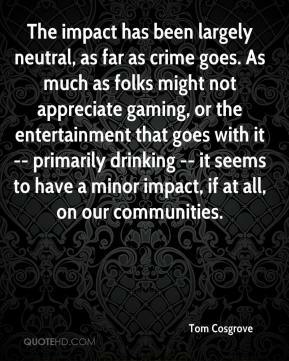 As much as folks might not appreciate gaming, or the entertainment that goes with it -- primarily drinking -- it seems to have a minor impact, if at all, on our communities. This does not appear to be a spur-of-the-moment crime of opportunity but a well-thought-out, premeditated act with months of planning and preparation. 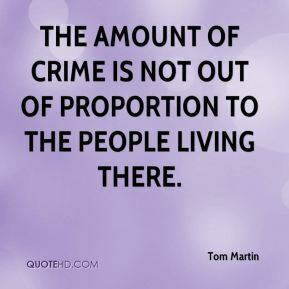 The amount of crime is not out of proportion to the people living there. 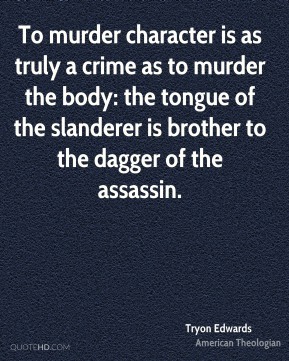 Here's a woman who confesses to this horrible crime - what she did to my father, who we love very much. 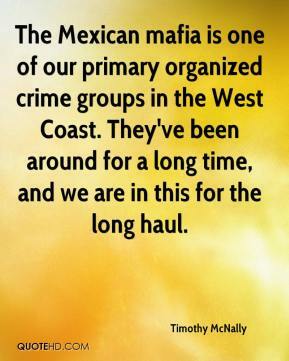 The Mexican mafia is one of our primary organized crime groups in the West Coast. They've been around for a long time, and we are in this for the long haul. He did an adult crime, and he should serve an adult time. 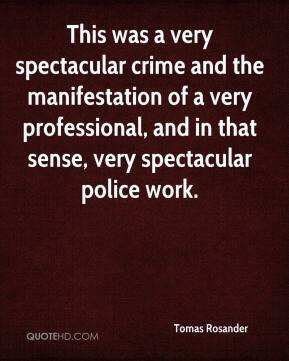 It's a phenomenal piece of work by the cops, ... 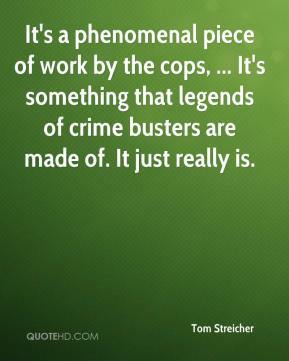 It's something that legends of crime busters are made of. It just really is. 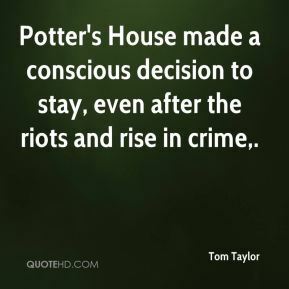 Potter's House made a conscious decision to stay, even after the riots and rise in crime. This was a very spectacular crime and the manifestation of a very professional, and in that sense, very spectacular police work. 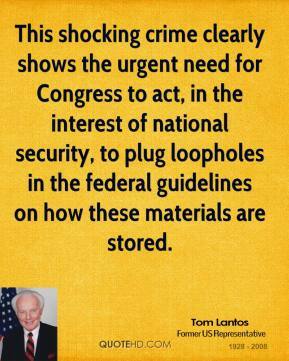 This shocking crime clearly shows the urgent need for Congress to act, in the interest of national security, to plug loopholes in the federal guidelines on how these materials are stored. 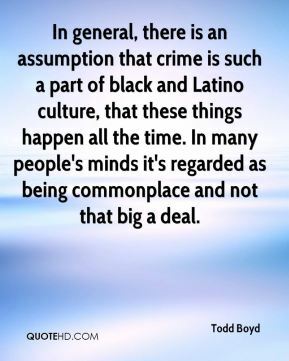 In general, there is an assumption that crime is such a part of black and Latino culture, that these things happen all the time. In many people's minds it's regarded as being commonplace and not that big a deal. 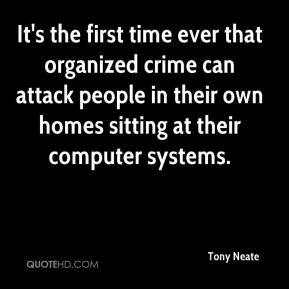 It's the first time ever that organized crime can attack people in their own homes sitting at their computer systems. Crime Stoppers has secured the latest technology to make the process of providing tips easier, while at the same time assuring tipsters that their tips cannot be traced back to them. 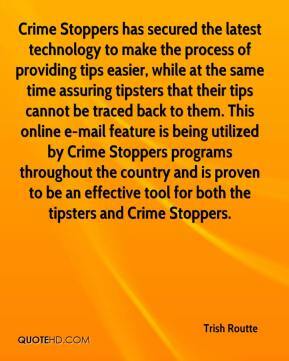 This online e-mail feature is being utilized by Crime Stoppers programs throughout the country and is proven to be an effective tool for both the tipsters and Crime Stoppers. 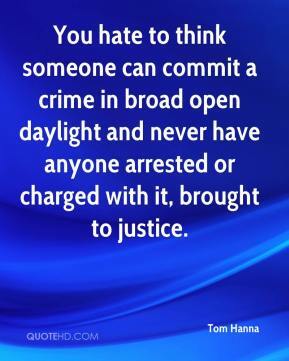 This assumption is mostly true-most people accused of a crime are criminals-but not always. I was accused of crime by someone I never met, in a city I had never been to... It was on its way to the prosecutor. 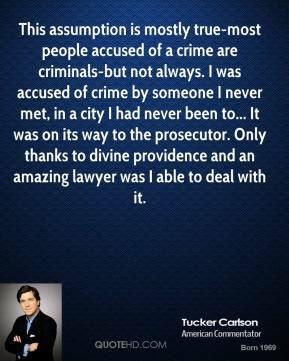 Only thanks to divine providence and an amazing lawyer was I able to deal with it. 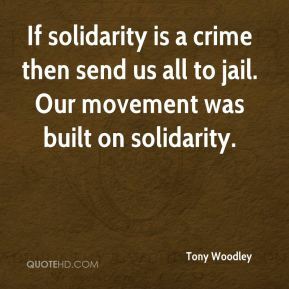 If solidarity is a crime then send us all to jail. Our movement was built on solidarity. 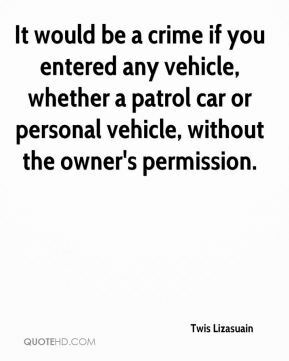 It would be a crime if you entered any vehicle, whether a patrol car or personal vehicle, without the owner's permission. 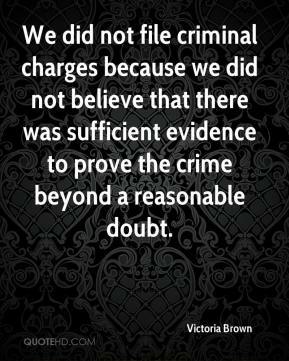 We did not file criminal charges because we did not believe that there was sufficient evidence to prove the crime beyond a reasonable doubt. 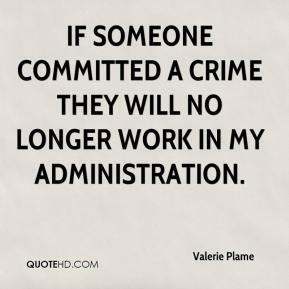 If someone committed a crime they will no longer work in my administration. 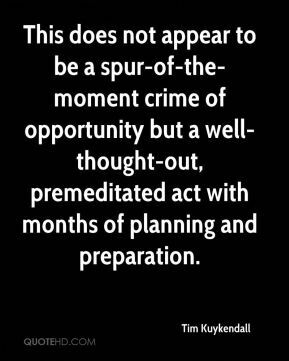 It was a crime of opportunity. 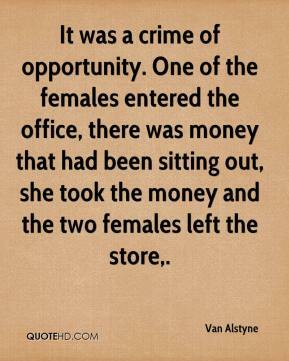 One of the females entered the office, there was money that had been sitting out, she took the money and the two females left the store. 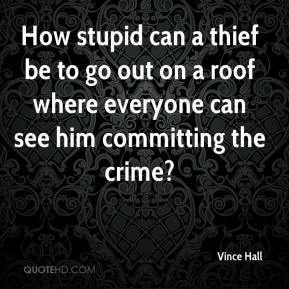 How stupid can a thief be to go out on a roof where everyone can see him committing the crime? Once again I am so proud of my staff. 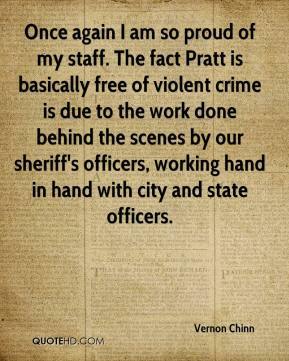 The fact Pratt is basically free of violent crime is due to the work done behind the scenes by our sheriff's officers, working hand in hand with city and state officers. They managed to achieve only one thing. 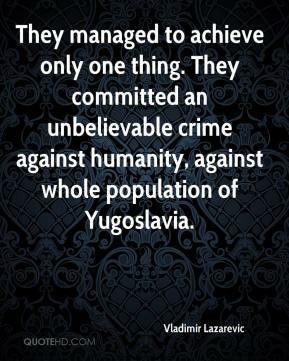 They committed an unbelievable crime against humanity, against whole population of Yugoslavia. 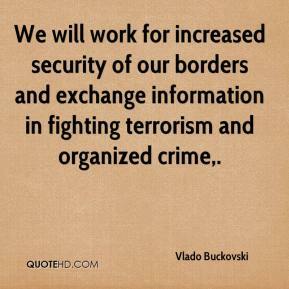 We will work for increased security of our borders and exchange information in fighting terrorism and organized crime.